Too often, our work begins to "institutionalize" and weaken the very relationships necessary to create stronger communities. Shifting relationships with your constituents is one of the keys to developing inclusive communities where everyone thrives. Join us for a day of practice and emergent learning as we dive into the ways community engagement can benefit your service provision, your organization, and your advocacy. Learn what community engagement looks like in successful examples from around the country, and explore what it might look like in your organization. This training will be facilitated by Lisa Duran, Nonprofit Consultant. 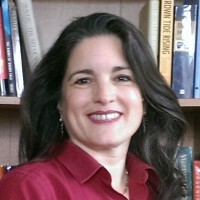 Lisa Duran has worked for over 30 years in the nonprofit sector and grassroots social justice work. Before becoming a consultant to nonprofits, she served as Executive Director of Grassroots Grantmakers, a national membership organization of foundations and other funders working to lift up grassroots voices and leadership in philanthropy.